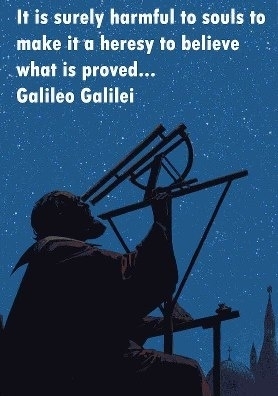 Enjoy 33 top Galileo Galilei quotes on astronomy and other topics. 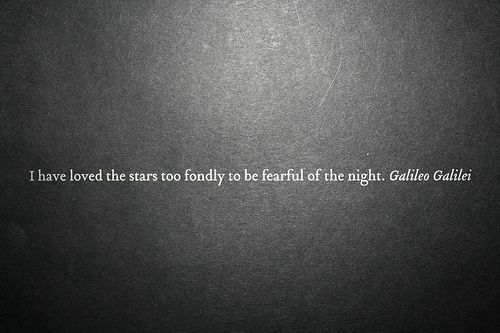 Quotes by Galileo Galilei, Italian Astronomer. They seemed to forget that the increase of known truths stimulates the investigation, establishment and growth of the arts; not their dimination or destruction. In time you may discover everything that can be discovered, and still your progress will only be progress away from humanity. The distance between you and them can one day become so great that your joyous cry over some new gain could be answered by an universal shriek of horror. 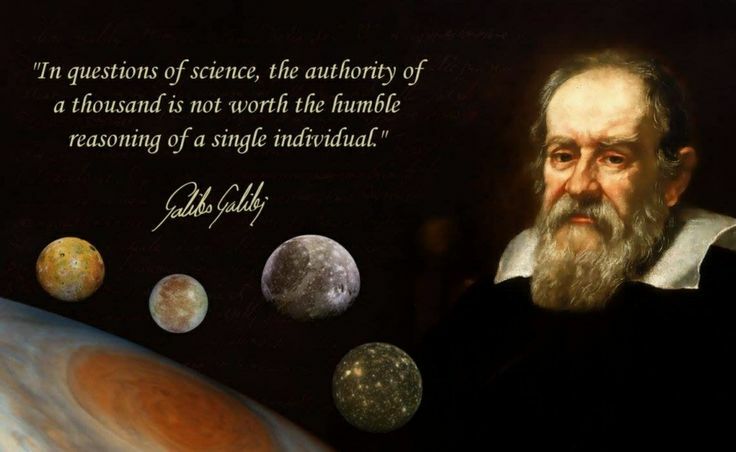 To me, a great ineptitude exists on the part of those who would have it that God made the universe more in proportion to the small capacity of their reason than to His immense, His infinite, power. In the future, there will be opened a gateway and a road to a large and excellent science into which minds more piercing than mine shall penetrate to recesses still deeper. Who indeed will set bounds to human ingenuity? 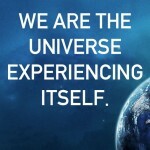 Who will assert that everything in the universe capable of being perceived is already discovered and known? To our natural and human reason, I say that these terms ‘large,’ ‘small,’ ‘immense,’ ‘minute,’ etc. are not absolute but relative; the same thing in comparison with various others may be called at one time ‘immense’ and at another ‘imperceptible’. Philosophy [nature] is written in that great book which ever is before our eyes — I mean the universe — but we cannot understand it if we do not first learn the language and grasp the symbols in which it is written. The book is written in mathematical language, and the symbols are triangles, circles and other geometrical figures, without whose help it is impossible to comprehend a single word of it; without which one wanders in vain through a dark labyrinth. Therefore, desiring to remove from the minds of your Eminences, and of all faithful Christians, this vehement suspicion, justly conceived against me, with sincere heart and unfeigned faith I abjure, curse, and detest the aforesaid errors and heresies, and generally every other error, heresy, and sect whatsoever contrary to the said Holy Church, and I swear that in the future I will never again say or assert, verbally or in writing, anything that might furnish occasion for a similar suspicion regarding me; but that should I know any heretic, or person suspected of heresy, I will denounce him to this Holy Office, or to the Inquisitor or Ordinary of the place where I may be. Further, I swear and promise to fulfill and observe in their integrity all penances that have been, or that shall be, imposed upon me by this Holy Office. 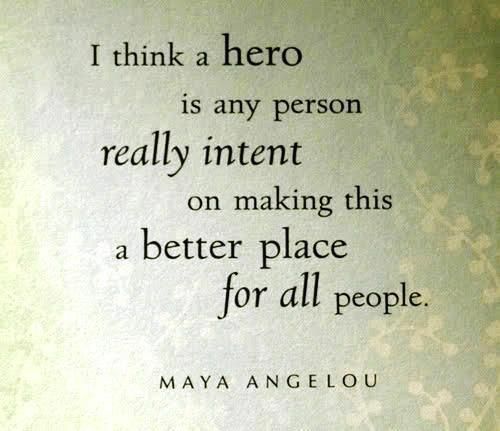 And, in the event of my contravening, any of these my promises and oaths, I submit myself to all the pains and penalties imposed and promulgated in the sacred canons and other constitutions, general and particular, against such delinquents.